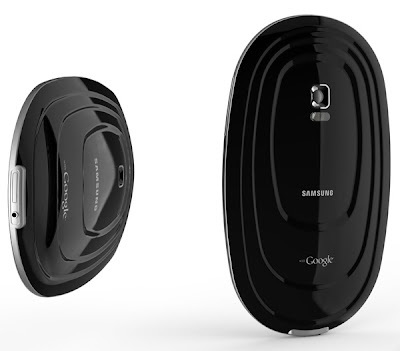 Appearing like a soap, this mobile phone is named as 'CAVE', a combined project by Samsung and Google. 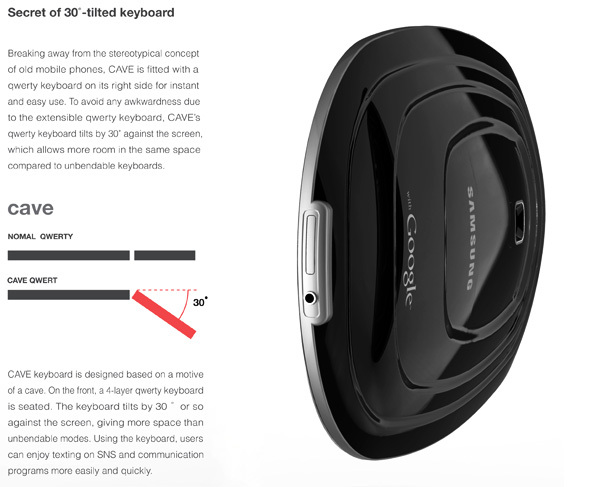 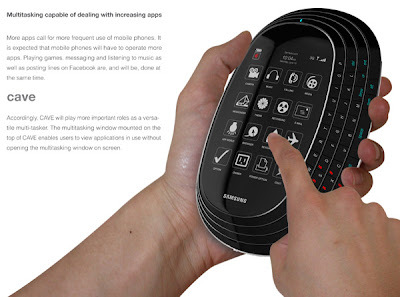 The phone has a special step design with 30 deg tilted angle where QWERTY keypad is inserted. 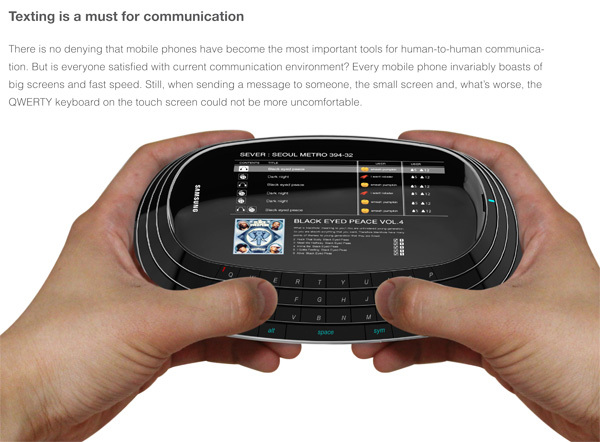 This phone is also equipped with a complete touch screen. The phone is termed as Cave because of its technology. 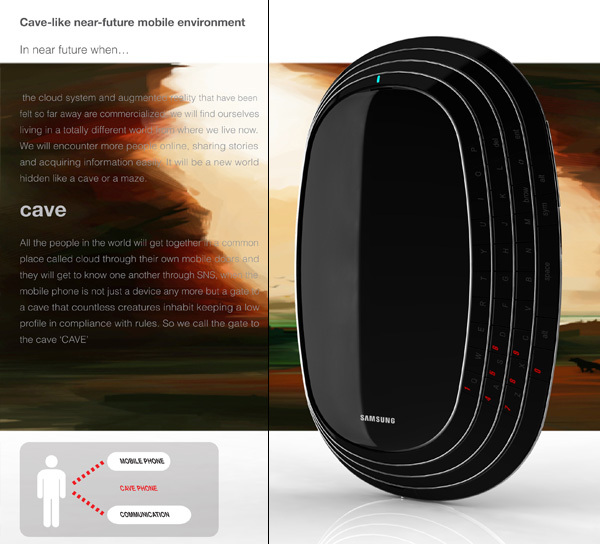 This phone uses cloud technology for communication. This cloud technology acts as a common interface between users where all the users in the interface are joined together as in a 'cave'. Runs on Google operating system, this phone is equipped with all the essential features a smartphone must have!